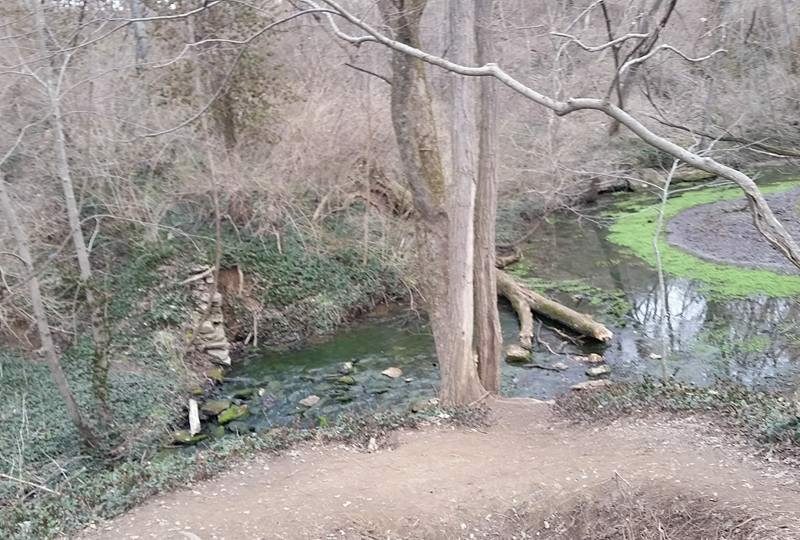 McConnell Springs is a 26-acre nature Sanctuary that is part of Lexington, Kentucky’s park system. 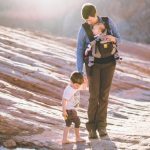 This is the perfect all access trail and toddler hike. The park includes a ½ mile paved loop and 2 miles of dirt/woodchip trails as well as an education center. This park holds important historical meaning to Lexington as well as its springs. 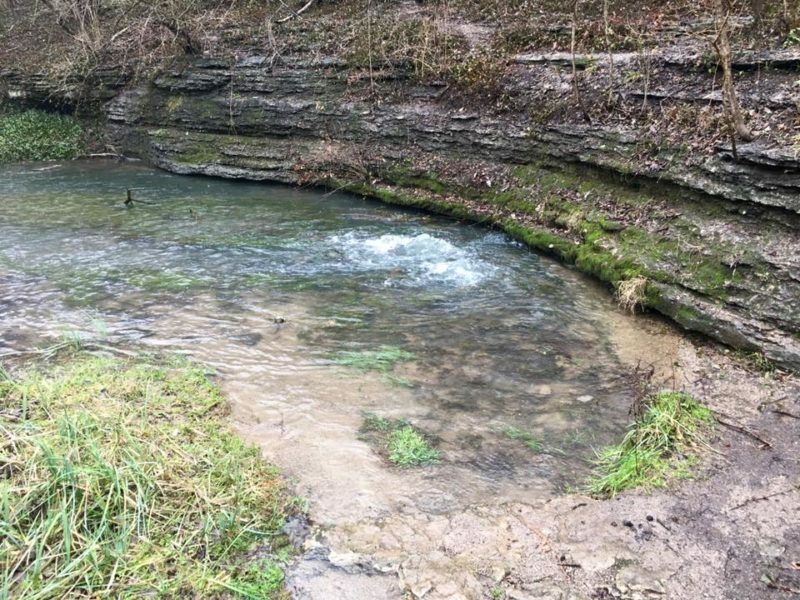 It contains a complex system of natural springs that has artesian springs that come above ground, flow; disappear below ground, only to emerge above ground again. 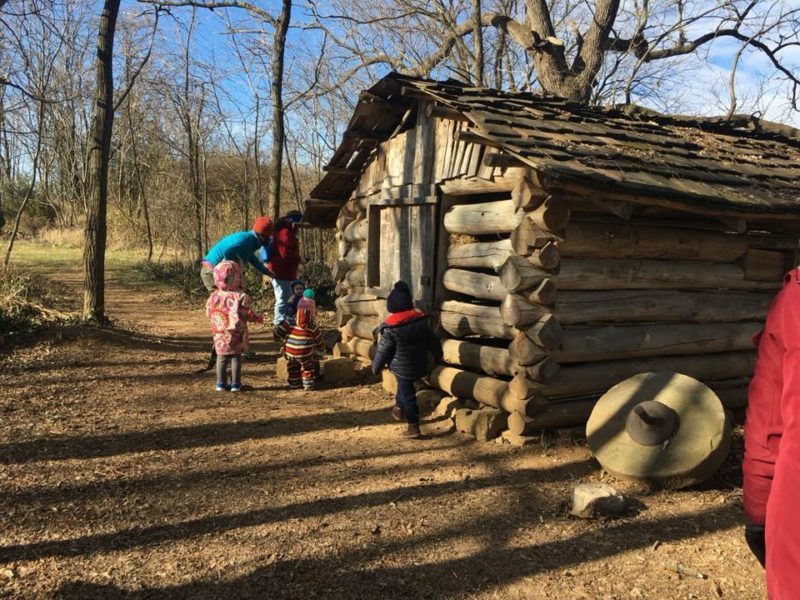 The park is also home to an over 250 year old Bur Oak, native plant and animal species, and a natural play area for children. The parking lot is directly in front of the Nature Center and is open from 9am—5pm Monday – Saturday and 1pm-5pm on Sundays. You may hike the park when the parking lot and education center are not open; you will just have to park on the street before the parking lot and walk in. When you walk into the park, you will go into a covered area with picnic tables on the right and the education center on the left. Please make sure you sign in. It helps them keep track of the number of visitors and see if a visitor is still in the park when they need to close the gates. The education center is a great spot to either use as a spot to layer up or warm up in the winter, or cool off in the summer. The education center contains a number of exhibits, tools, and toys to teach children about the local plant and fauna. Just after the education center on the left, a fabricated pond houses one to two of their painted slider turtles during the summer time. On the right, you will see a tree log that is perfect for children to climb and explore. Continue along the paved path to the lean-to and cabin further ahead on the right, or take the left hand side dirt path to more picnic tables and then the amphitheater on the way to the pond. The paved pathway is a big loop, except for the section that leads to the pond and the Bridge to Nowhere, which is an out and back path. 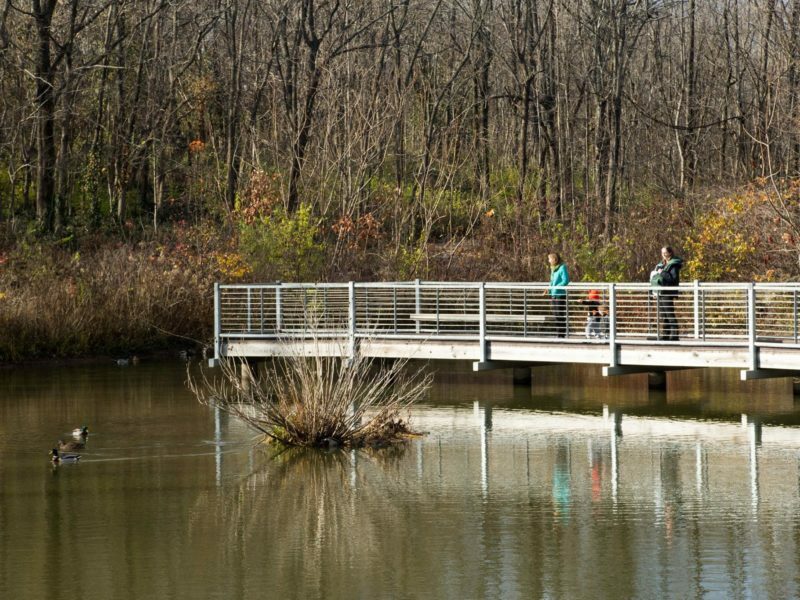 The pond is home to lots of native species (plant and fauna) and the boardwalk and bridge is always a favorite among the kids who spend time looking for the frogs, turtles, ducks, and geese. The bridge stops in the middle of the pond with a bench so that you can sit and enjoy the view. Head to the right (the opposite direction from the pond) and you will come to a junction where the loop starts. Going to the left is the quicker way to get to the trails and the natural play area. Heading straight/right will take you on the loop starting with the springs. The first spring you will come upon will be on the right called the Blue Hole. An information board describes how the spring created. The Blue Hole is a 15-foot deep conical basin that is a deep blue color. 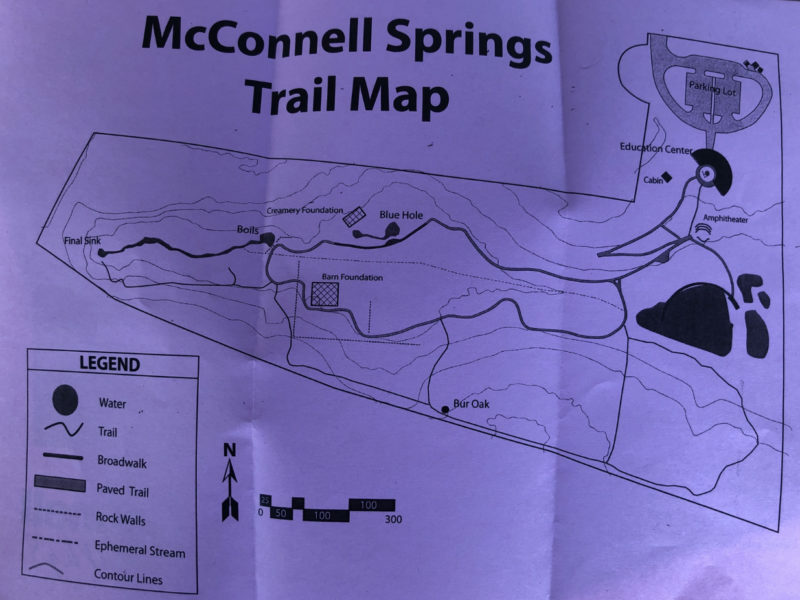 From there, you will follow the paved pathway onto an elevated boardwalk along the creek that flows from the springs to where the springs disappear back underground. Keep continuing along the paved pathway and the spring will reemerge at The Boils. If you hike after rain, you will see the spring look like it is boiling. Do not worry, the water is not boiling hot, it’s actually quiet chilly. Continue along the paved pathway following the flowing spring waterway. Soon you will come across a dirt/woodchip trail on the right with a sign pointing down the trail for the Final Sinkhole. This is an out and back trail. All terrain strollers can go along this trail, but only to a point. The offshoot trail on the right hand side leads down to the water’s edge and a bench. It is a great area that they kids can explore. Be warned, it can be very muddy and swampy, especially if it has rained recently. The trail crosses over a small bridge and in this spot, it would not be recommended going further with a stroller. Once over the bridge, the trail will pass a bench and head a bit down a steep downhill. You are able to see the springs flowing to a cave like structure where the springs disappear underground again. There are drop offs here, so keep an eye on children at the edges. One could possibly head up to the Bur Oak with an all-terrain stroller. The second pathway up to the Bur Oak is not as steep as the first hill. 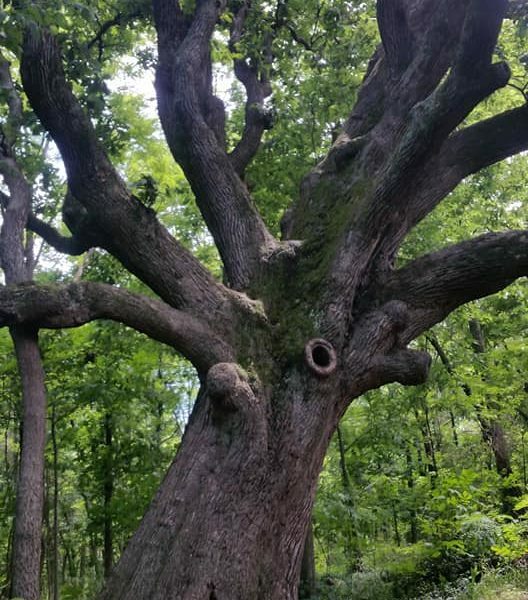 The Bur Oak is over 250 years old, left over from when this area was an Oak Savannah. Now, it is too heavily shaded for the oak tree seedlings to grow. The massive oak tree will be on the left and marked with a plaque. Continue down the trail for more hiking. The right side of a junction heads down to the paved pathway, or you can take the longer route and keep hiking by following the trail, which will wind back to where you will walk along the pond opposite of the Bridge to Nowhere. The closer to the pond you get in the spring, the more you need to keep an eye on where your feet step due to baby turtle crossings. The earlier in the morning, the more likely you are to see deer throughout the park. 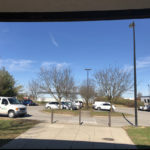 There is a medium sized parking lot just outside of the Education/Nature Center. If arrive prior to opening time or will be there after closing time, please park on the road outside of the parking lot, prior to the gates.